Ubisoft's upcoming strategy game R.U.S.E. craves your touch, announced as one of the first games to fully support the new multitouch capabilities of Windows 7. When R.U.S.E. was first announced with a trailer showing to players battling it out on a giant touch table, we were skeptical. Then they showcased it at E3 on Microsoft's Surface, and we were impressed. Now that multitouch gameplay is closer to coming home, as Ubisoft and Microsoft team up to ensure your fingers can do the walking in Windows 7. "Making images interactive is at the core of the video game industry, and over the last few years we have been striving to make this interactivity as intuitive and direct as possible. Today, thanks to Windows 7 and its full multitouch support, the barrier between the player and the image has been removed: they become one", said John Parkes, EMEA marketing director. "As a strategy game relying on a clean and intuitive interface built around the zoom, R.U.S.E. 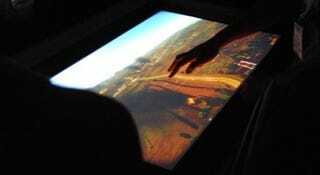 was the perfect candidate for Ubisoft to demonstrate how multitouch improves and streamlines the way games are played". Of course you'll still need a touch-ready monitor, but hey, in a couple of years they'll just be handing those out to people in the street.